Leading convenience retailers, SuperValu and Centra, owned by Musgrave, are celebrating gin-ormous success as they reveal that gin sales have grown by over a whopping 70% in the past 12 months. Gin became a top seller across SuperValu and Centra stores in 2017, with international and local favourites such as Jawbox, Tanqueray, Beefeater and Shortcross proving to be the favourites amongst Northern Ireland gin lovers; but it’s the flavoured Gins which have become the selling sensation of 2018. Gordon’s Pink Gin is now the bestselling gin and it’s been joined on the shelf by the likes of Malfy Blood Orange Gin, Whitley Neil Rhubarb Gin and the social media sensation that is Parma Violet Gin Liqueur. 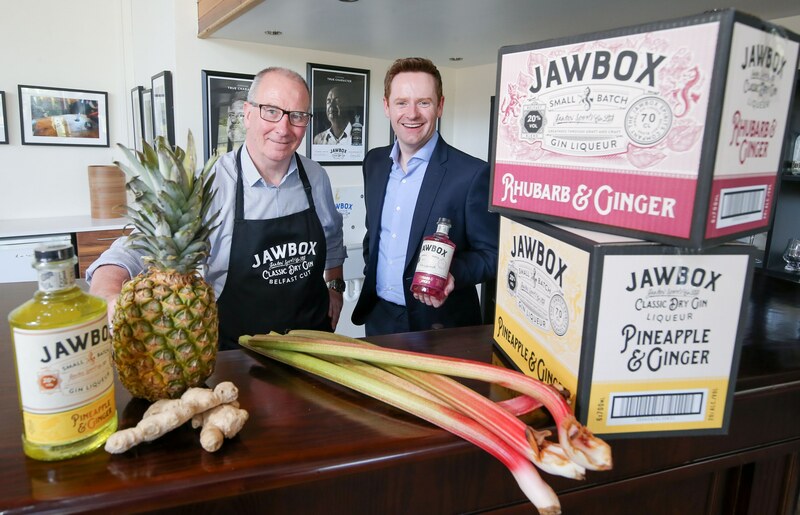 County Down produced Jawbox Small Batch Gin has seen great success in SuperValu and Centra stores, following the launch of two Jawdroppingly refreshing gin liqueurs, Jawbox Pineapple & Ginger and Jawbox Rhubarb & Ginger. Following the news of over 70% sales growth in Gin at SuperValu and Centra stores, Gerry White, founder of Jawbox is hoping that the new Gin Liqueurs will be the taste of the summer. Gerry said: “This is a very exciting time for the Jawbox Spirits Co as we release an industry first with the launch of our Pineapple & Ginger Gin Liqueur and Rhubarb & Ginger Liqueur and we are delighted to have these on shelf across SuperValu and Centra stores. SuperValu and Centra’s successful gin sales are reflective of what is happening across the UK with recent figures released by the Wine and Spirit Trade Association (WSTA) revealing that sales of gin in the UK have risen by seven million bottles, reaching a record 47 million bottles in a year, the equivalent to 1.32 billion gin and tonics. The figures also confirm the findings of a recent YouGov poll which found that gin is now the most popular spirit among UK drinkers, with 29% of participants saying that it is their favourite spirit, beating rivals, whisky (25%) and vodka (23%). Gin has risen from third place in the same poll conducted a year previous.